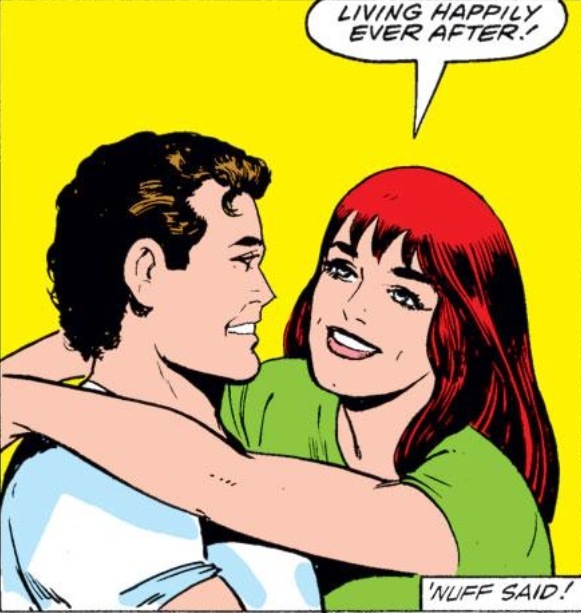 Since I’ve been pouring on the love for Peter and Mary Jane the past two weeks, I thought I would bring this nostalgic chatter to a temporary hiatus by remembering ASM’s 21st annual issue. 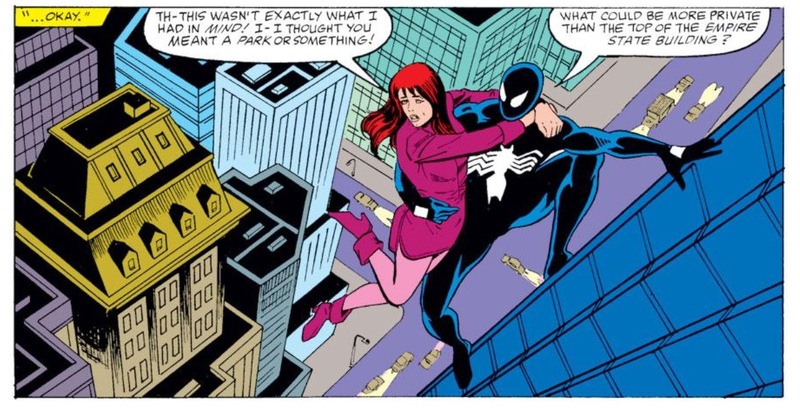 Of course I reserve the right to talk about Mary Jane and Peter again, any time I so choose since I am the judge, jury and executioner of Chasing Amazing country, but I do promise to keep the reference to those two at a minimum for a while after this post. As I’ve mentioned in previous posts, I’ve always had a very weird relationship with the annual issues, for reasons both rational and not. When it comes to my desire to collect every issue of Amazing Spider-Man, I really don’t consider the annuals a part of that “quest” though I also fully acknowledge that at some point or another, I will likely come to own every one of them. I already own a bulk of the annuals, but you’ll notice along the right sidebar of this site, that the countdown to completion-hood is focused squarely on non-annuals. The way I’ve always viewed it, my quest will be complete when I collect the remaining issues of Amazing Spider-Man listed on the right sidebar. The annuals, as well as other Spider-Man comic books series, of which there are many, are all consolation prizes that will likely keep me collecting for the duration of my life, but also come with zero emotional attachments from me. With all that said, ASM Annual #21 is one of the few annual issues that was important for me to acquire early on in my collecting years. While I know this is a blanket statement that many will consider misleading, what contributes to my annual-aversion is the fact that the bulk of these issues reflect little, if any, continuity from the main ASM series, and are often isolated “one-shot” stories that do little to advance character, plot, etc. As a result, I don’t typically enjoy reading these comics and there are very few of these issues that have a memorable storyline or scene. Annual #21 is obviously an outlier when it comes to the unimportant trend. 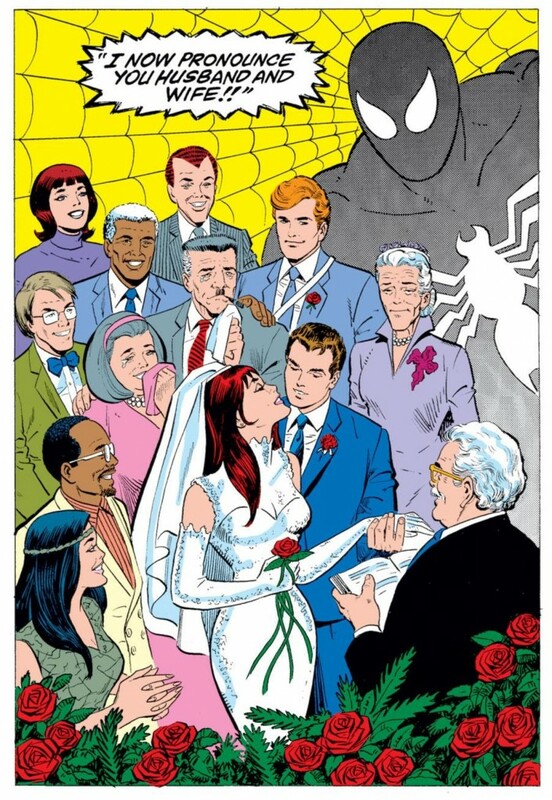 While a number of recent comic book creators (and some fans too to be fair) found Peter’s marriage to MJ to be contrived and tired, I always thought it was great that Spider-Man tied-the-knot. As a character who often struggled managing his personal relationships as Peter and his superhero relationships as Spider-Man, the marriage supplied some additional drama and tension within the comic book, especially when MJ became the target of villains like Venom. 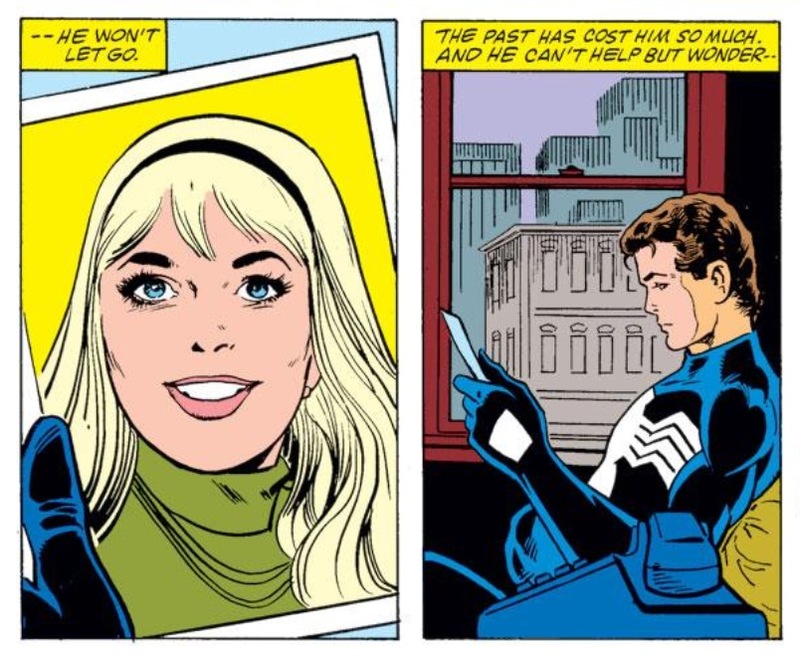 And while Peter’s personal relationships have often been marked by a theme of tragic loss, he also has always come across as a loving, caring individual outside of the Spider-Man costume. I felt like Marvel HAD to give this guy a soulmate, otherwise, his undying devotion his elderly Aunt might come across a little more curious if Peter never demonstrated the ability to bond in a different kind of relationship. 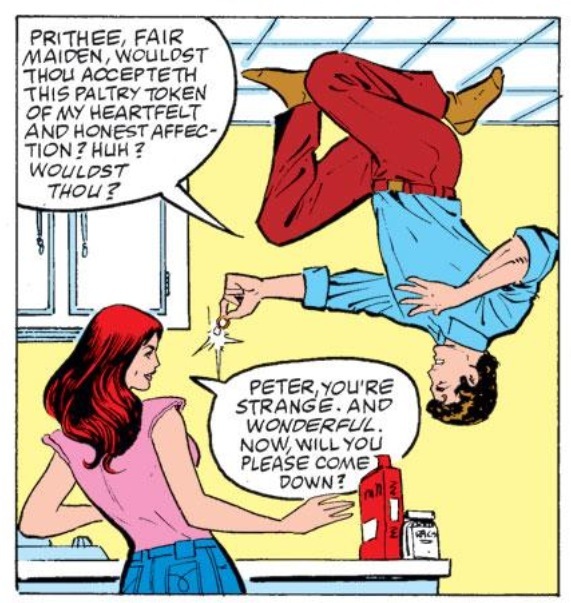 Yes, I realize that I just casually slipped in some oedipal commentary about Peter and his Aunt May. 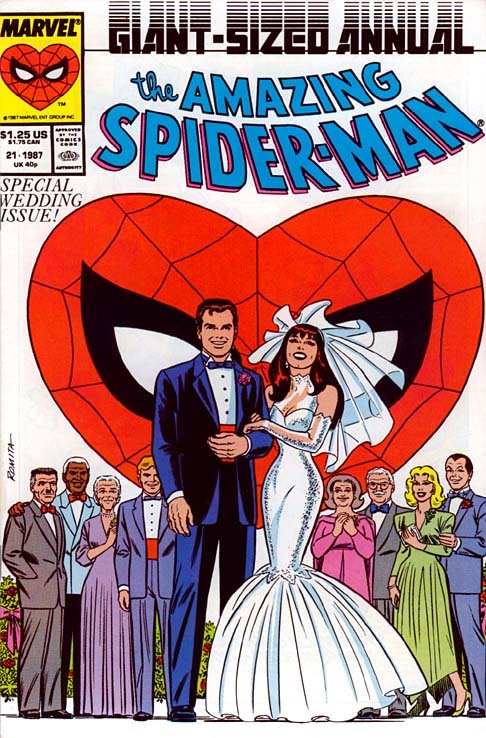 So of course, when I later learned that there was an entire issue dedicated to the marriage of Peter and Mary Jane, I had to own it. Unlike other annuals, which I often picked up in those trusty $1 boxes at comic book shows, or for pennies on the dollar as part of a bulk purchase on eBay, I attended a comic book show as a teenager specifically to get my hands on this issue. As a result, I probably ended up overpaying for it (though I honestly can’t imagine I paid more than $15 for it at the end of the day). 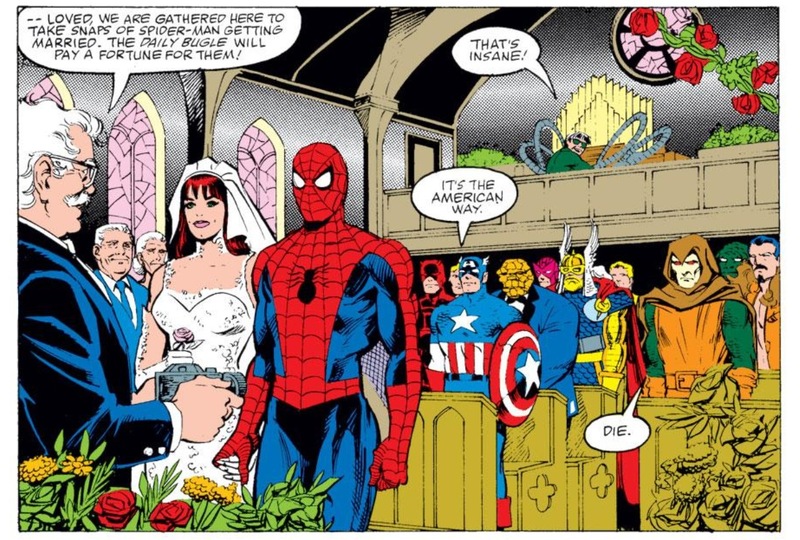 In retrospect, the issue from a collecting stand-point was another exhibit from the Jim Shooter Marvel era of highly publicized mega-events, which essentially begat the comic book collecting bust of the 1990s. But those factors are irrelevant to me. That’s what happens when personal and emotional investment trump market factors. For me, this was an important issue to own, because I thought highly of the content itself. I thought so highly of it, I actually silently cheered to myself when the One Moment in Time storyline came out last year and these modern ASM issues were directly referencing this moment of 80s nostalgia for me. Of course, that cheering came to a thundering halt when I actually read the rest of One Moment in Time, but that’s a complaint-fest I’ll reserve for another day (though I’ve been referencing it a ton lately). To end on a positive note – while the first ASM annual is more desire and valuable based on the first appearance of the Sinister Six (and the fact that it came out in the 1960s), #21 will remain the quintessential Spider-Man annual from my perspective – if only because it’s the only issue of its type that made me consider how naked my collection would be without it.